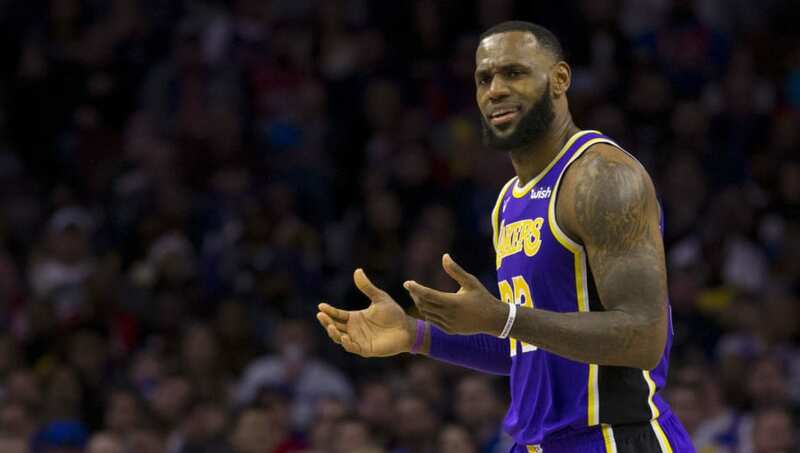 The Los Angeles Lakers are seemingly on the verge of collapse, but they still have LeBron James. That is the only reason they even have a "chance" to win an NBA title this year, and seemingly the reason why they have +3300 to win the NBA Championship, via FanDuel sportsbook. Those odds are understandable because betting against LeBron James just doesn't seem like the best course of action. The man has been to eight straight NBA Finals. But the Lakers are 3-7 in their last 10, wouldn't make the playoffs if they started today, and have played with little cohesion since trying to sell their entire young core and two first-round picks for Anthony Davis. Yet they still have the ninth-best odds to win the NBA Championship, ahead of playoff teams like the Spurs, Trail Blazers and Jazz. The Lakers are currently a .500 team and in 10th place in the Western Conference with James missing the first month of 2019. The west is a gauntlet with the Thunder, Rockets, and Warriors sitting at the top, but the Lakers aren't dead in the water just yet. While they didn't acquire Anthony Davis at the trade deadline, they did add some much-needed shooting to the team in Mike Muscala and Reggie Bullock. The Lakers are just a few games out of the final playoff spot, but James will try to whip his team into shape coming out of the All-Star break ready to make a run. All you need is a little LeBron magic in the playoffs, which isn't much to ask from a guy that came back from 3-1 to win the 2016 NBA Finals.